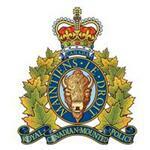 RCMP Alberta – This morning at 3:10 a.m., Turner Valley RCMP responded to a report of a serious motor vehicle collision on Highway 22 west of Priddis Valley Road. As a result of the collision three adults are deceased, and one adult has been transported to a hospital via STARS Air Ambulance. Two vehicles were travelling on Highway 22 in opposite directions and collided head-on. The 26-year-old male driver and his 31-year-old female passenger in a car were both declared deceased on scene. The 34-year-old male driver of an SUV was also declared deceased while the 27-year-old female passenger of the SUV was transported to a Calgary hospital with serious, but non life-threatening injuries. Investigation into this collision continues by the RCMP Collision Analyst. Resources from Okotoks and Cochrane RCMP provided assistance. The RCMP have now re-opened the highway to travel. Further information will not be made available.